It is with good reason that the USA has a reputation for the Great Outdoors, perfect for hiking and camping. With 50 states spanning six time-zones and with a dazzling array of geography and scenery, it can almost feel overwhelming trying to pick your ideal destination. So, here are ten of the best to mull over and keep you a happy camper Stateside. With over 1000 camping spots, 700 miles of hiking trails and scenery to near move you to tears, the Glacier is a true thing of beauty. Covering a million acres and including parts of two mountain ranges, this is a camping destination guaranteed to meet your expectations. There is an entrance fee of $12.00 per person, that permits access up to seven days. Also, the Glacier has a lot of wildlife, so being prepared for a chance encounter should be kept in mind. If you want to mix in some authentic US history with your camping expedition, the islands of Boston Harbor offer a wealth of things to see and do, many of them free. Unsurprisingly, you do though need to catch a ferry or boat to get to them in the first place. Check out cool lighthouses, old buildings and interesting nooks and crannies of pre-Revolutionary America. The Wyalusing is the perfect embodiment of the American Great Outdoors. Perfect for camping and hiking, the forest is awash with birds and wildlife, while the forest itself consists of spectacular trees and scenery. This is about as close to nature as you can really get and is something of a hidden American tourist gem. And for an added bonus, there’s no charge to enjoy this beautiful part of the world. If you’re looking for a camping holiday that is super kid-friendly, then one of the 80 Jellystone Park Camp-Resorts found across the US can provide a great outside family experience. 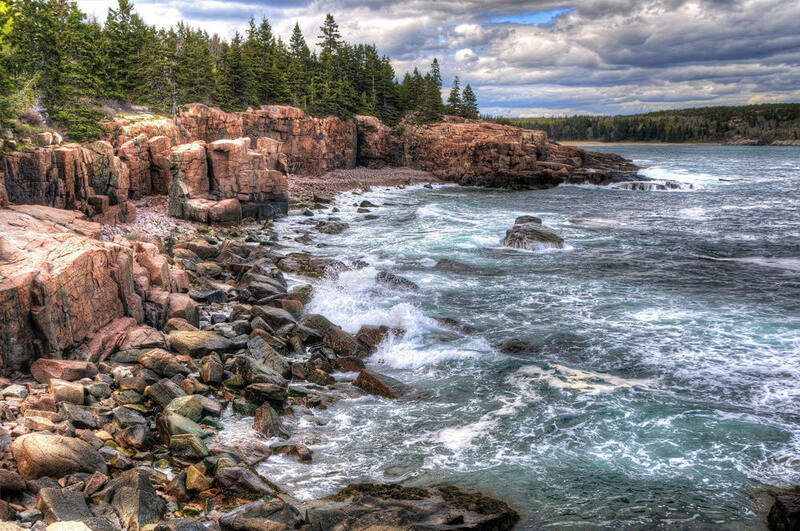 Acadia National Park sits on Mount Desert Island, just off the coast of Maine, as well as incorporating some smaller coastal islands too. While there are beaches and forests to explore, the focal-point of Acadia has to be Mount Cadillac, standing at over 1500 feet high and a perennial attraction for hikers and explorers. This is a very popular site for camping and in the good weather months of summer, it is recommended that a reservation is made in advance. 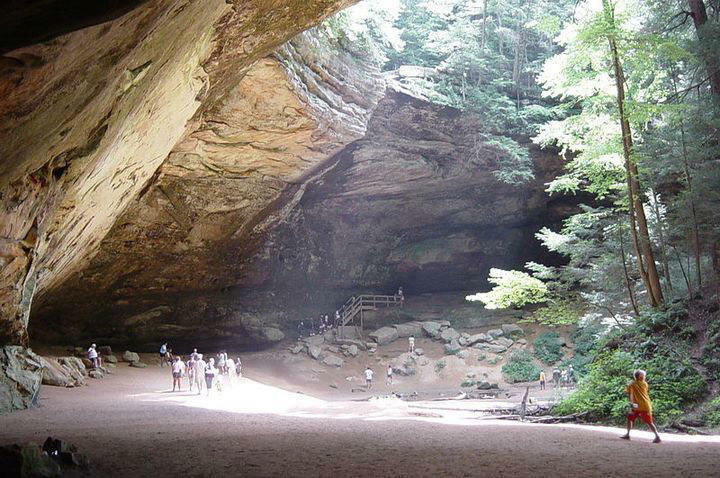 Hocking Hills state park covers 2,356 acres of south-central Ohio. Nature does not disappoint here, with not only the hills to explore, but also the Hocking river, waterfalls, cliffs and gorges. There is a good choice of campgrounds to choose from throughout Hocking Hills, with varying price points accordingly. Other features include, if you’re feeling brave enough, zip-lining, and for those wanting something more leisurely, why not check out the nearby historic towns of Lancaster and Nelsonville. One of the most famous parks in the USA, if you’re looking for a “nature hit”, Yosemite is never going to disappoint you. Huge swathes of the park are undeveloped and natural. You can go for mile after mile and not see a single car, ‘phone mast or even a cabin, just seemingly endless forests, lakes, cliffs and general eye-widening scenery. 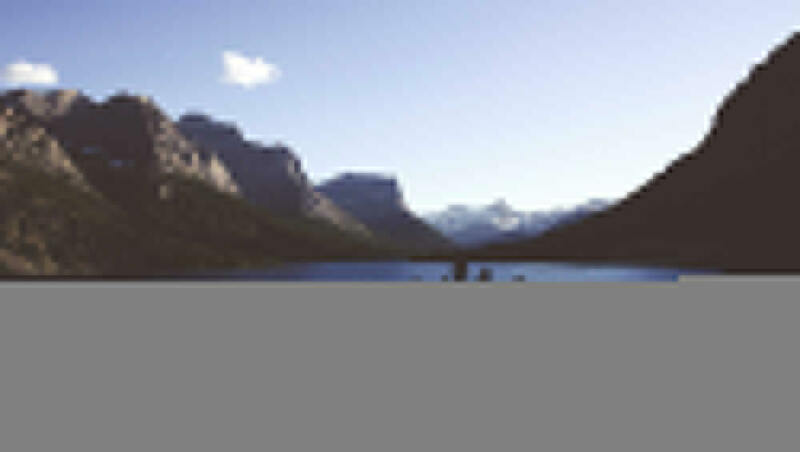 There is a $15.00 per person fee, that covers for 7 days, but to experience this as part of your camping or hiking experience, is money well spent. For those that camp and / or hike here, the first thing to stress is that the view pretty much all around are North Cascades are beautiful. Take in stunning vista of lakes, mountains and forests and get to wake up in the morning in crystal clear air. North Cascades is also another hidden gem, so it’s relatively low density in terms of other visitors. So, if peace and tranquillity are your buzzwords, you may want to check out this park. 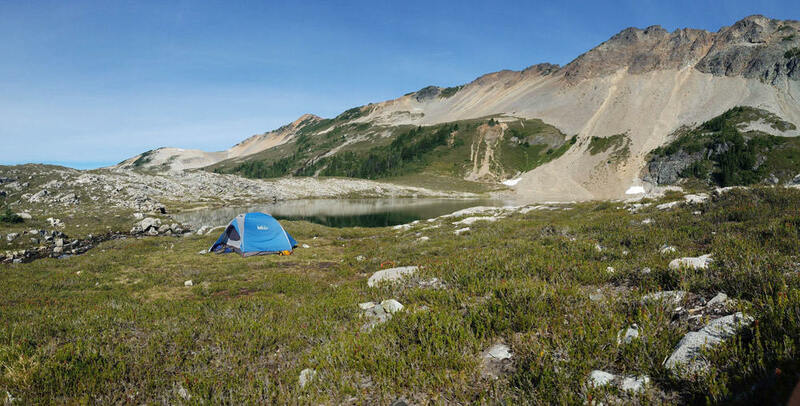 There are miles and miles of trails that are great for camping. And for extras? No fees apply to enter the park. Another famous all-American name, and at the very modest cost $8.00 per person for 7 days, the Everglades gives you the opportunity to explore and camp out in one of the most fascinating places on Earth. The Everglades is the largest designated wilderness in the whole eastern USA and is replete with wildlife. This is a popular destination, so booking ahead to make use of the park’s campgrounds is advisable. Pro-tip: all’s good, but on with insect repellent. Opt out of that and you’re guaranteed to be a regular meal-time option for the parks insect life. This park is a true gem – with pun very much intended. The park covers 911 acres, including a designated site where visitors can actually search for, and wait for it, keep the diamonds that they find! Rare, but it does happen. The park has over 45 campgrounds, so plenty of choice, and most with water, electric and sewer hook-up points. Costs vary from site to site and given the popularity of this park, booking ahead is prudent. There are plenty of trails to explore and lots of wildlife and scenery to take in – if of course you haven’t been dazzled too much by the earlier diamond haul you made.